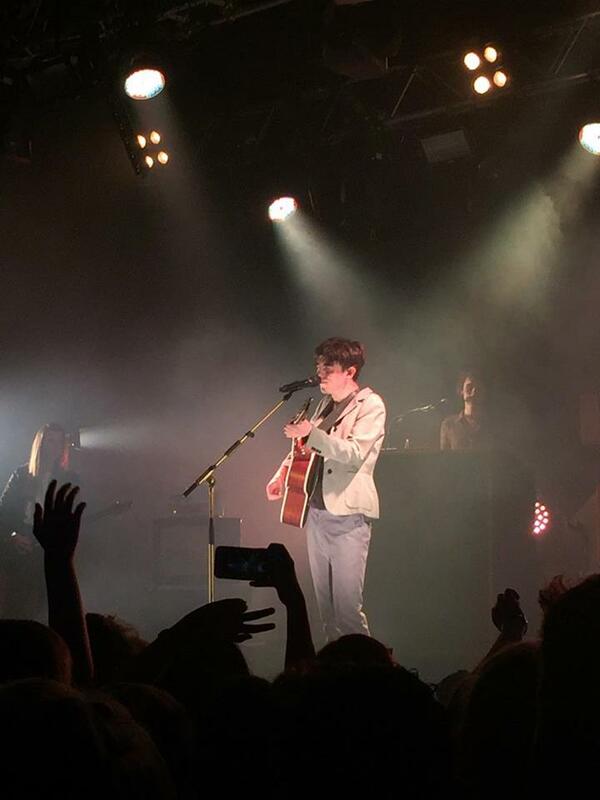 Declan McKenna's 'What Do You Think About The Car?' is my strongest contender for album of the year at the moment. It encapsulates so much I love about music, it's catchy, witty and serious all at the same times. The inspiring anthem 'Paracetomol' is one of my personal favourites from the Glastonbury Rising Artist award winner. But it's tracks like 'The Kids Don't Wanna Come Home' and 'Brazil' that really set him apart from the competition. They're the type of songs where you hear them first and think "Wow, they're catchy" and after more listens the lyrics start to set in and it changes the whole aspect of the song. For example, 'Brazil' is a really upbeat song but it's actually about the damning effects of the 2014 World Cup on the poorer populace of the country. So understandably I was overly excitable at the chance to see him live. (My girlfriend had to talk me out of going to the Birmingham gig as well...). 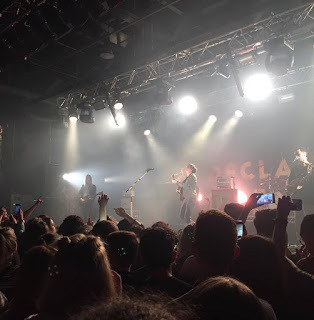 The backdrop merely said "Declan McKenna" in big letters and the merch is nothing particularly fancy. This is all part of the allure of the up and coming 19 year old singer songwriter, how down to earth he is. As he rocked on to the stage he got an unbelievable cheer from the, heavily student, crowd. And understandably so as he blasted straight into 'The Kids Don't Wanna Come Home' with some massively different guitar riffs throughout, it didn't particularly do the song any wonders and it was clearly evident early on that his microphone wasn't turned up loud enough and the instruments were completely drowning out his voice, and I'd love to say that this got better and that the sound technician fixed it but they really didn't and it took the gloss off of an otherwise perfect gig. If you've ever been to the O2 Academy in Leicester then you'll know that it's not exactly blessed with size and most artists completely skip it on their UK tours so it's good to finally get back here after only going here once before (Miles Kane in 2013 in case you're wondering). But the thing that makes that so special is that there isn't a bad place in the house, as evidenced in my photos I had such a clear view of the stage it was brilliant (It also helps being 6 foot something). Despite the crowd size, Declan still had them in the palm of his hand, getting the crowd bouncing to songs like Bethlehem is quite the accomplishment but he achieved it. The crowd surprisingly sang 'Why Do You Feel So Down?' the loudest back to him, with him even handing the microphone out to the crowd at one point because they were drowning him out, something which I'm sure he was more than happy to hear. 'Make Me Your Queen' was just as beautiful live as it is on the album, and that's saying something because it's by far and away my favourite song on the album and to witness songs that are so special to you live is something that you never forget, like when I saw Kanye West perform 'Flashing Lights' it just gives me goosebumps thinking about it. The encore was quite surprisingly 'Listen To Your Friends' which is an absolute toe tapper if there ever was one, but I was expecting something like 'Brazil' or 'Humongous' and when Declan McKenna came out for the encore with his acoustic guitar he jokingly said into the microphone "This is Wonderwall or some sh*t" and then sang "Somebody" and the crowd continued to sing the whole of Smash Mouth's meme anthem 'All Star' as McKenna laughed hysterically to himself on stage and was visibly quite disappointed the crowd didn't burst into the second verse. 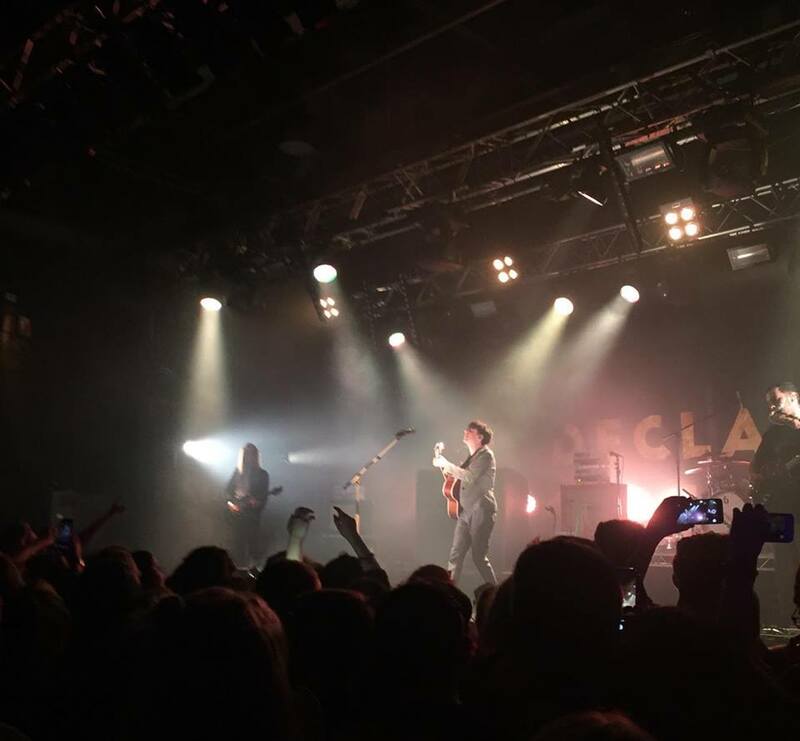 All in all, it was a great night and if Declan McKenna is coming to a town near you then why haven't you booked tickets already?! 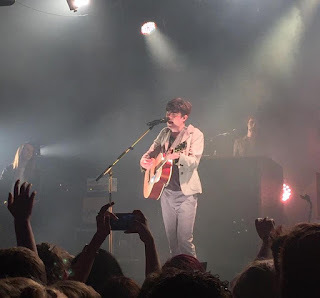 Declan McKenna Indie Live Live Review Music Review Singer-Songwriter What Do You Think About The Car? Labels: Declan McKenna Indie Live Live Review Music Review Singer-Songwriter What Do You Think About The Car?